My partner, myself and our 3-year-old have been saving Velocity and Qantas points since January of this year. So far we have accumulated close to 200,000 Qantas points and 350,000 Velocity points. We have never redeemed any points before so this will be the first. I also have 1 free domestic return flight courtesy of my AMEX Velocity Platinum card. And I have two 120 Virgin Flight Voucher ($240 in total) from my Virgin High Flyer Card and my partner’s Virgin Flyer Credit Card. It has been our dream to travel to London, Paris, Prague and Rome coming from Darwin, NT. We would like to go in September 2019 in time for my partner’s birthday. I don’t think our points will be enough to shoulder all of our flights so we’re prepared to shell out if need be. The question is, what’s the best approach when redeeming frequent flyer points to travel from Darwin, NT to London, Paris, Prague and Rome in September 2019? 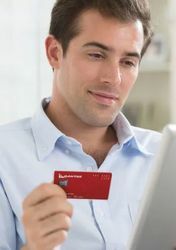 Is it good to get the service of companies such as flight centre to help us out in redeeming all of our points, free return flight, flight vouchers and planning and booking our flights? Any advice from you guys is deeply appreciated. Flight Centre won't do bookings for you using points & vouchers...they earn commission on tickets, so make money when you spend money. Jump on the websites & search multi-city/multi stops & you'll see what's available. Flight centre can't do any better to redeem your points than you can and mostly won't be able to assist you with much as they mostly focus on cash bookings. Not sure if this is a round the world trip (points use would be different) but here is my advice regardless. You will need to get to Sydney, Melbourne or Brisbane from Darwin for international flights so this would be a good opportunity to redeem your free domestic return flight and also use your $240 vouchers on virgin australia. (Best not to redeem your points for domestic hops as they are not great value). All travel will be in Economy. Whilst its not the best value to redeem, the point, I assume, is to get all or most of the family on points to and with-in Europe. Redeeming for Economy is easier and less costly. For your international destinations to Europe, Qantas by far has the best international network and connections. For your first flight, I would suggest redeeming Qantas points to get you to London which would be the best starting point for your journey. Whilst the taxes will be high if you transit through or arrive in London, it is the way it is. Virgin has a lack of good options here, often requiring 1 or 2 inconvinient connections but an acceptable option if you redeem for Virgin Australia flights to LA or Hong Kong and connect with Virgin Atlantic to London. Same applies for your return flight. The flights below will depend on where you want to go from London and the order you want to visit the cities. Departing from London: As Rome is the hub for Alitalia, using Velocity Points is great value here as you can redeem your points for Alitalia Airlines flights for the same rate as you would a Virgin Australia Flight. That is provided of course you can find award availability. AusBT has a guide on finding Alitalia flights using veloicty points. Qantas points can be redeemed for British Airways flights to Rome, but considering the high taxes and fees, its not worth it. Departing from Prague, Paris: Again, you can redeem for Alitalia flights with Velocity Points which represents great value as Rome is a hub of Alitalia. Otherwise, paying cash would be your next best option. Departing from London: I would suggest paying for the flight to both destinations considering the high taxes and fees associated with using Qantas Points on British Airways. Velocity/Virgin does not have good options here. However, if prices aren't favourable, using Qantas Points is an option. Departing Rome: Since Rome is the hub for Alitalia, using Velocity Points once again is great value here as you can redeem your points for Alitalia Airlines flights for the same rate as you would a Virgin Australia Flight. From there, you just need to get back to London for your return flight home in which case you can redeem Velocity points if departing from Rome with Alitalia, or a not so great redemption with Qantas Points on British airways from any destination. That's it. Use cash for return domestic flights to Sydney, Melbourne or Brissie. Use points to get to London. Use points to go and leave Rome. And paid flights all other times. Keep in mind that it all depends on award availability so check for this often and book immediately when the opportunity arises.